Did you know that the University of Illinois offers several tour options outside of our general campus tours? 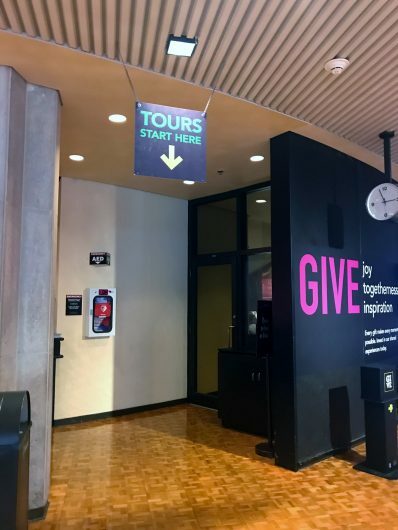 While on campus, you can try additional or alternative tours such as the Krannert Tour, I-Dash Running Tours, Myths and Lore Tours, or the Engineering Campus Tour, just to name a few. 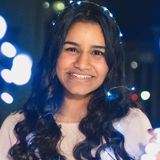 These are great options for students who may have already participated in our general campus visit programs and want to try something different while exploring campus. Today, I will be sharing highlights of my experience touring our campus neighbor, the Krannert Center for the Performing Arts. The center offers free tours every day at 3 p.m. during the fall and spring semesters, and Tuesdays through Fridays during the summer. Our tour lasted about 45 minutes. The truly impressive Krannert Center covers two city blocks and houses four indoor theaters and Lobby Stage 5, as well as an outdoor amphitheater. 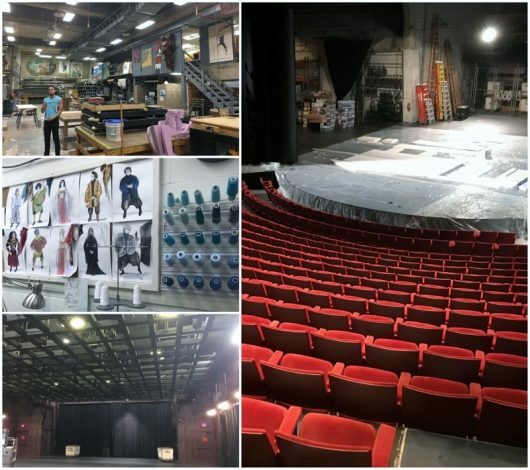 On my tour, I learned about the background of the center, the uses of their different theaters, and the thoughtful construction of the different venues (calling all Fine and Applied Arts and Engineering majors: this information was fascinating). We also got to see some of the behind-the-scenes action on the production levels. The tour starts in the lobby, which fits 4000 (!) people. If you look down, you’ll notice the lobby floor is made of teak wood imported from India and Sri Lanka. This is where our tour guide, Ryan, let us know my favorite fun fact of the day: In 1968 when the center was being built, the construction of the lobby floor used up America’s ENTIRE allotment of teak wood import for the year! You then make your way through the theaters and the production level of the center. It was really neat to see the work that goes into scene and costume design—I loved the costume sketches on the wall. 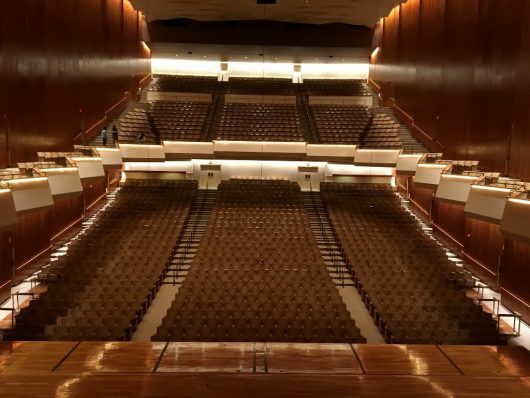 The last theater you’ll visit on the tour is Krannert’s crown jewel, Follinger Great Hall. Not only is the hall huge (2066 seats), but it is one of the top 10 most acoustically perfect rooms in the world. You’ll notice that there are no parallel surfaces, no 90 degree angles, and the room is perfectly symmetrical. The acoustics are so great, in fact, that this is where the Chicago Symphony comes to record. While the symphony is here for their yearly performance, students can grab tickets for just $10. 10 points if you can find where we are. Any other questions about the campus after your tour of Krannert? You’re in luck! The admissions office is located directly across the street. See you soon! I truly enjoy the opportunity I have to act as a resource to incoming and prospective students throughout their admissions process at Illinois. 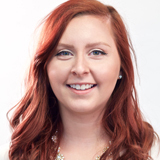 I also specialize in international admissions, so I’m lucky enough to hear from students not only all over the country but all over the world!